When it comes to overseas property investment there are several choices to be made. What type of investment a person makes depends on what they want from the property, and the type of investment they are making also affects the destinations they will consider. If a person wants a holiday home that will pay for itself in rental income when the buyer is not using it, then that person is a holiday home investor. They must choose a property suitable to accommodate them and those they holiday with, in a destination that they would like to spend their holidays in, which also has a strong rental market. Then there are pure-investors, which are then split into short-term investors and long-term investors. Short-term investors must choose a property that is going to appreciate rapidly in value, in a location where there will be plenty of people to sell to 2-3 years down the line. For this they will probably be looking for a strong and/or growing internal housing market. Long-term investors have a much wider choice; because, failing some catastrophic event, practically every property is going to appreciate in value over the long-term. The question is by how much? For long-term investors it is primarily about economic growth and stability. It is growth in the economy that really pushes up house prices, and also increases internal demand for housing and second homes, which in turn provide the exit strategy. Below we have attempted to narrow down this vast choice, by choosing five destinations we think will be among the most lucrative for long-term property investors. Albania is busy making the transition into a great industrialised nation. The government has managed the economy excellently over the last decade, making some excellent structural reforms. Between 2002 and 2006 a quarter of Albania’s poorest were brought out of poverty. This led to the World Bank upping Albania’s status to a middle income country in 2007. This meant that Albania could then apply for loans from international banks as oppose to being reliant on hand-outs from the likes of the International Monetary Fund. Albania made the most of this; taking out several multi-million dollar loans for infrastructure projects to increase the productivity of the country. These included a massive loan from the Japanese government to improve the country’s canal system, another from the European Bank for Reconstruction and Development to build a new terminal at Albania’s largest port in Duress, and another loan to build a major highway between Duress and Kosovo. What’s more Albania is on track to join the European Union in 2014. Their loans and grants will aide in Albanian economic reforms, and EU membership will boost the economy massively. Property values in Albanian cities, especially the capital Tirana will grow exponentially over the long-term, especially since they have such a low starting point. You can currently buy a luxury 2 bedroom apartment in Tirana for under £50K off the plan. This is likely to be worth £250-£500K within 7-10 years. Even as almost every country in the world is falling into recession, the Panamanian economy is to grow by 3% this year according to the International Monetary Fund. Panama’s economy is primarily fuelled by its strong and massively growing services sector, especially the services involved in the operation of the Panama Canal, the only waterway that transverses the land-bank between Central and South America, as well as the Colon Free Trade Zone. More recently tourism has started to play a bigger part. The Canal is currently being expanded to triple its capacity. This has led to Panama being at the centre of global investment, with many businesses seeing the benefit of having offices or distribution centres within range of the Canal. Because of this Panama’s economy will continue to grow between now and the completion of the expansion in 2014, when growth will accelerate. The good thing about Panama is that it is the most popular choice for American retirees, to American’s what the Costas are to Brits if you like. This can be looked upon as an exit strategy for today’s investors. 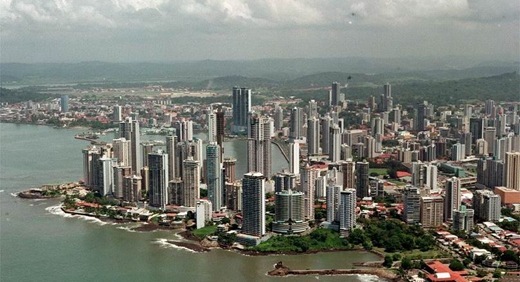 Panama property is likely to be worth 2-5 times its current value over the next 5-10-15 years. 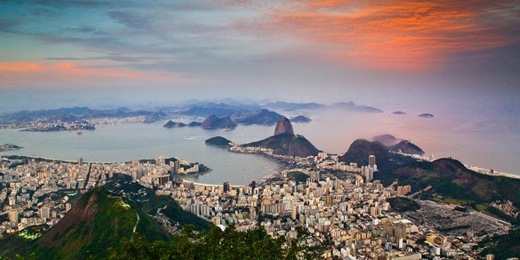 The world’s leading analysts have predicted that Brazil will be the fifth largest economy in the world in the next 5-10 years. Yet property is currently a lot less expensive than in the world’s other leading economies — especially if you look at houses on the internal market. 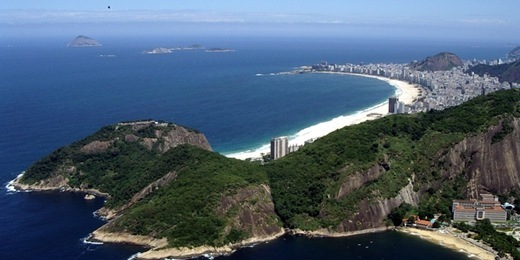 As Brazil grows into one of the largest economies, property will grow in value till prices are similar to those in the other major economies, at which point growth will slow to the established market average of 10% per annum. Tunisia is also one of the fastest growing emerging market economies, based mainly on massive growth in the agricultural sector, and more recently stable growth in the construction industry. The Tunisian economy is expected to grow by over 4% this year according to the IMF. Tunisia is unique among the emerging markets because the government would not allow foreigners to buy property until over 75% of the internal population owned their own homes. This is far more than in the world’s larger economies, including the UK in which only 71% of people own their own homes. 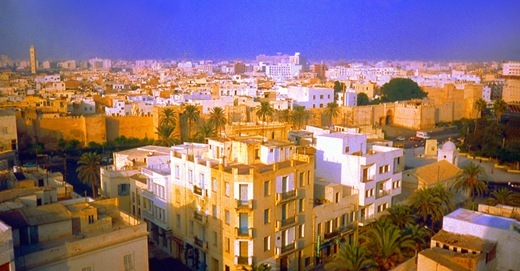 Property in Tunisia presents the opportunity to buy property at the low prices you’d expect to find in an emerging market, within the developed internal housing market you’d expect to find in an established market. A great combo for the long-term investor. You can’t have a list of top overseas property investment destinations without including parts of Asia. The only reason there aren’t other Asian countries in this is because of laws preventing foreign ownership, and/or because they are better for short-term investment which is of course another article. The Philippines is the tiger among the emerging markets of Asia. Its services sector continues to grow exponentially on the back of the outsourcing boom which has expanded due to the credit-crunch tightening the belts of global businesses. Worker remittances from the thousands of Filipinos working abroad also continue to grow. Because of these two industries and others, the Philippines economy is forecast to grow by over 4% this year according to the IMF. 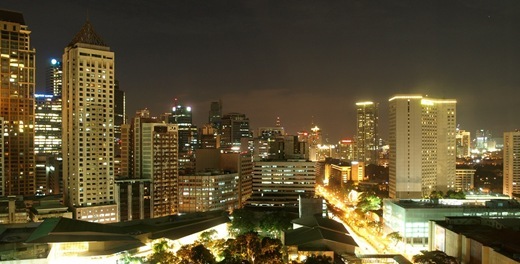 The Philippines was among the worst affected by the Asian economic crash earlier this millennium, so property prices are currently among the lowest in Asia. Because of this and the fact that the two main growth sectors mentioned above are pretty much recession-resistant, the Philippines is an excellent long-term property investment destination.